If you know of another nonprofit who you think would benefit from Flipcause's software and services, we'd love to meet them! 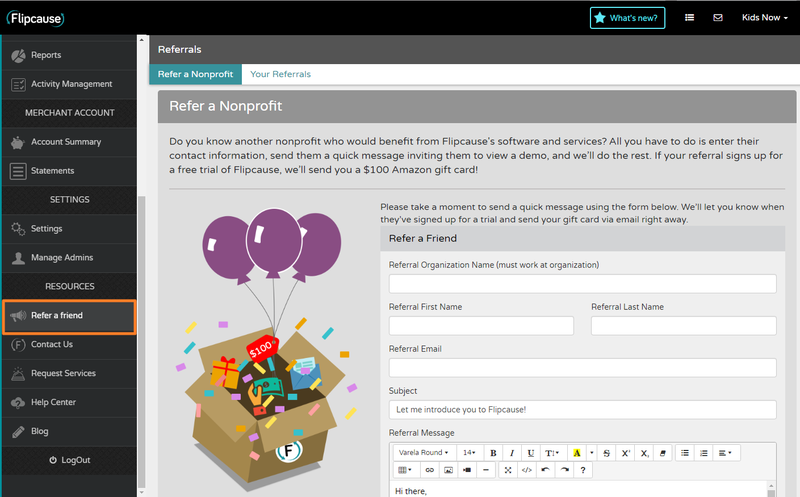 The Flipcause Referral Program allows you to get a $100 Amazon gift card for any nonprofit you refer who signs up for a free trial of Flipcause. If your referral signs up for a free trial of Flipcause, we’ll send you a $100 Amazon gift card!